Home / Black Avenue Muzik / Celebs Gossip / D black / Fashion Ghana / GHANAIAN RAPPER, D-BLACK TO LAUNCH BLACK AVENUE CLOTHING? 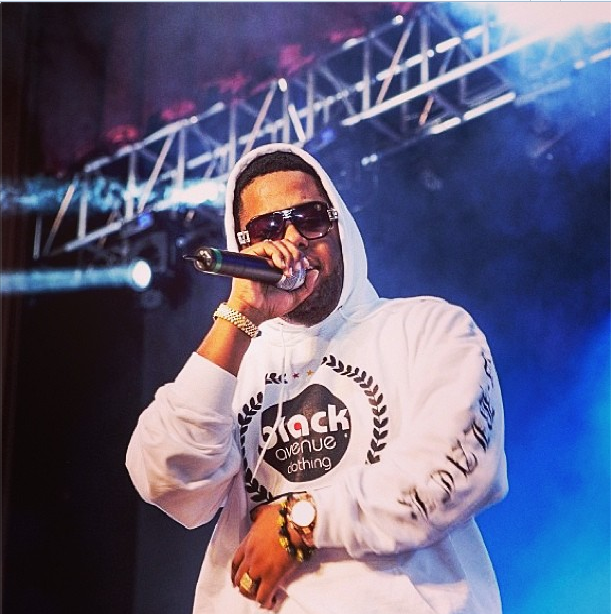 GHANAIAN RAPPER, D-BLACK TO LAUNCH BLACK AVENUE CLOTHING? FashionManiaGh camera captured Da Ghana Bwouy- D-Black wearing 'Black Avenue Clothing' on stage at Ghana Meets Naija concert to support Joey B performance. Lots of Ghanaian celebrities are now venturing into fashion business with few of them doing well and we wouldn't be surprised if the "VERA" crooner is also looking into that direction BUT when FashionManiaGh contacted the CEO of Black Avenue Muzik Label, D-Black on phone, he revealed to us that is for personal purposes and not for commercial. Only time will tell.